Tribe | British Gas | Powering a great British brand. British Gas is the largest UK energy and home services company, working across many, varied industry sectors. British Gas Business is dedicated to helping UK businesses use energy more efficiently; and we’re dedicated to working with them to communicate with those customers effectively, helping to power a leading brand in an ever-evolving market. As brand consultants, Tribe supports British Gas Business across a host of their marketing and internal brand activity. From copywriting everyday bills and letters to planning and developing ideas for B2B marketing campaigns, our job is to make sure all brand communications deliver the company’s strategy – to be a modern, customer-led business that leads the industry as a brand you can trust. In last year’s integrated winter campaign we put British Gas at the forefront of people’s minds using the simple but powerful strapline ‘Don’t let winter win’ and some high impact CGI visuals. The British Gas engineer was at the heart of the campaign and the messaging worked as strong a call to arms. The campaign was a huge success for British Gas, helping to boost brand awareness and generate qualified leads above and beyond original targets. 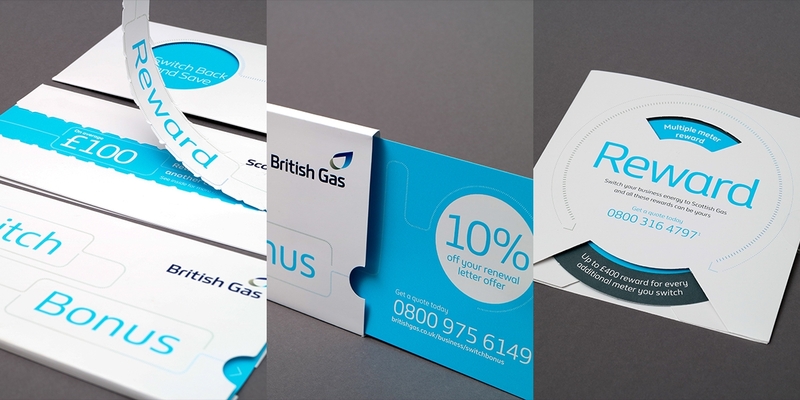 Supporting British Gas with a new visual identity and tone of voice is enhancing the clarity of their communications. Simplicity is the key, so we developed an overall look that’s clean, confident and consistent; the visuals are complemented by a voice that feels human and grounded – a world away from the detachment felt by many of the ‘big six’ energy companies. By testing the theory behind the brand through an evolving programme of ‘test and learn’ campaigns, we’ve gained real insight into what makes customers tick. These opportunities to push variants in messaging and hierarchy give British Gas the best chance of further strengthening brand awareness, and getting a return on their investment. The ‘Winback’ direct mail campaign smashed client expectations on day one. With a 1.4% response rate and 5 in-bound calls in the first day of landing, it blew the 0.2% average response rate out of the water. British Gas needed a new and efficient way of delivering and tailoring presentations to their business customers. To give the sales team detailed and flexible access to the latest product information, we developed a cutting-edge digital sales tool for iPad and Android tablets. A fluid, intuitive interface that makes the lives of the sales team easier, and presents a professional, fuss-free brand experience for the customer. We’ve worked with energy companies for over 15 years, from the big six to the smaller up and coming independents. The expertise we’ve required along the way stands us in good stead to support British Gas, with insight not only into their brand, but the whole energy industry and what drives the decisions of energy consumers.